Moody's Investors Service has taken rating actions on six Ukrainian banks. 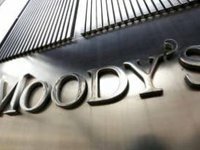 These follow the recent improvement in the creditworthiness of the Government of Ukraine, reflected in Moody's upgrade of Ukraine's sovereign bond rating to Caa2, with a positive outlook, from Caa3 (stable outlook) on August 25,2017, Moody's said in a press release on Wednesday. According to the document, Moody's upgraded the long-term Local Currency (LC) deposit ratings of PrivatBank, Oschadbank, Ukreximbank and Prominvestbank to Caa2 with a positive outlook from Caa3, PrivatBank and Oschadbank's Counterparty Risk Assessment upgraded to Caa1(cr) from Caa3(cr) and Ukreximbank and Prominvestbank to Caa1(cr) from Caa2(cr). Outlook is stable. The Baseline Credit Assessment (BCA) of PrivatBank and its standalone BCA were upgraded to caa3 from ca, Oschadbank, Ukreximbank and Prominvestbank's – to caa2 from caa3. In addition, Moody's upgraded Oschadbank's Foreign Currency (FC) senior unsecured debt rating to Caa2 from Caa3, Local Currency (LC) senior unsecured debt rating to B1.ua from Caa2.ua, long-term LC deposit rating to B1.ua from Caa2.ua. As for Ukreximbank – FC senior unsecured debt rating to Caa2 from Caa3 and FC subordinated debt rating to Caa3 from Ca and Prominvestbank – long-term LC deposit rating to B2.ua from Caa2.ua. The following ratings were upgraded for Raiffeisen Bank Aval: long-term FC and LC deposit ratings to Caa1 from Caa2 and Caa3 from Ca respectively, long-term LC deposit rating to Baa3.ua from B2.ua, BCA to caa2 from caa3 and standalone BCA – to caa1 from caa2 and Counterparty Risk Assessment to Caa1(cr) from Caa2(cr). The following ratings were upgraded for bank Pivdenny: long-term FC and LC deposit ratings to Caa3 from Ca and B1.ua from B2.ua respectively, Counterparty Risk Assessment to Caa1(cr) from Caa2(cr). Moody's also affirmed long-term LC deposit rating at Caa2 and BCA and standalone BCA at caa2. Moody's said that the rating actions on the banks were driven by an improved operating environment, reflected in the rating agency's revision of its Macro Profile for Ukraine to "Very Weak " from "Very Weak-", as well as by better financial fundamentals.